Whether you choose one of our Sample Box subscriptions or one of our Standard Box subscriptions you will not be disappointed. Order today and help support small Texas businesses. 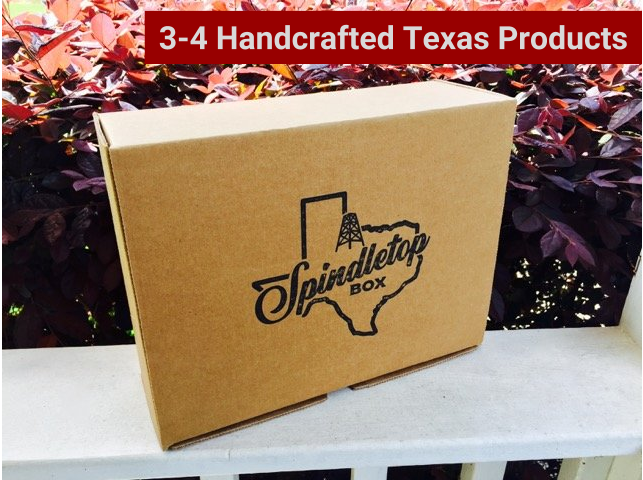 Our Sample Box Subscription includes 3-4 small-batch, handcrafted Texas products with month-to-month, 3-month prepay, and 6-month prepay options, auto-renewing, cancel anytime. Ships on the 5th each month. FREE SHIPPING! 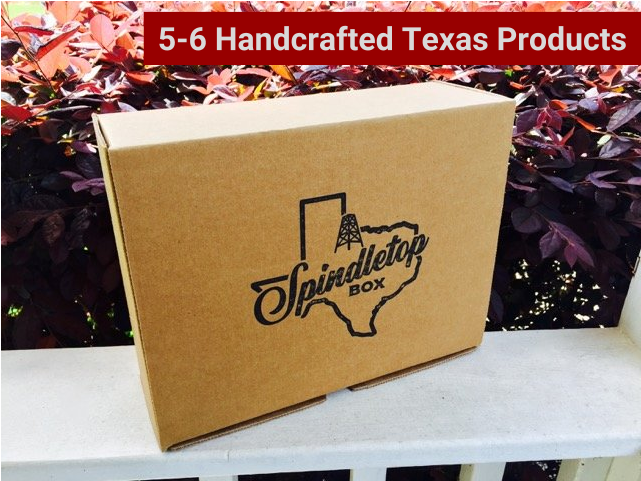 Our standard subscription box includes 5-6 small-batch, handcrafted Texas products with month-to-month, 3-month prepay, and 6-month prepay options, auto-renewing, cancel anytime. Ships on the 5th each month. FREE SHIPPING! Here is a quick look at what Spindletop Box has offered in previous months!